[Please fix my package choice]. I'm on Ubuntu Karmic alpha with all updates to date. I'm on a second-generation MacBook. My sound worked perfectly under Jaunty and Karmic until the recent Pulse Audio updates. Now many of my applications are hit and miss - youtube won't play sound but games under wine will play sound. But I'm not complaining about that in this bug report. If I look at my processes under System Monitor, I have about 30 instances of "aplay", each of which is using 800, 804 or 808 kbytes of RAM and currently sleeping. I presume that these are sounds that were supposed to play but have failed to do so given the new audio architecture changes. I can kill them manually or using "pulseaudio -k". I have selected "Sound" from my System->Preferences menu to see if I can fix it. It is misbehaving. The sound preferences window has no title and no "X" in the close button's area. The window is about 3 screens high and cannot be resized. If I select the tabs, the screen is only partially drawn - it's as though it wants to spend about a minute redrawing the screen but it never actually gets there. 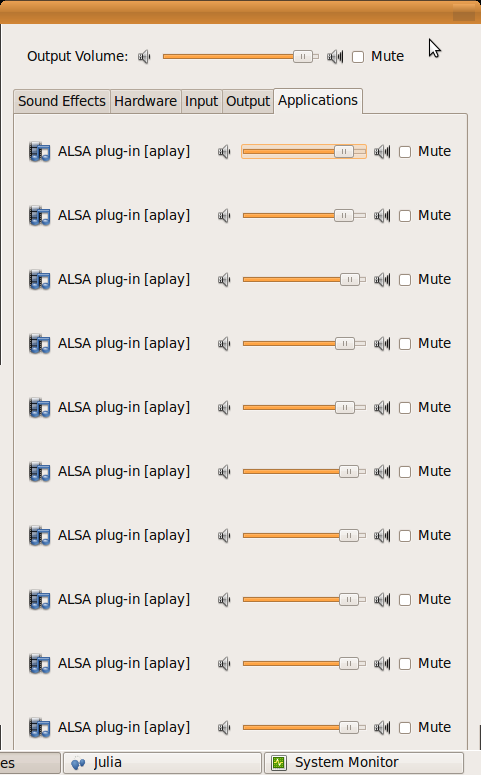 I realize that the underlying problem is with Pulse Audio, but still Sound Preferences shouldn't behave like this. Screenshots should explain. I'm not happy for this to be marked as a duplicate. 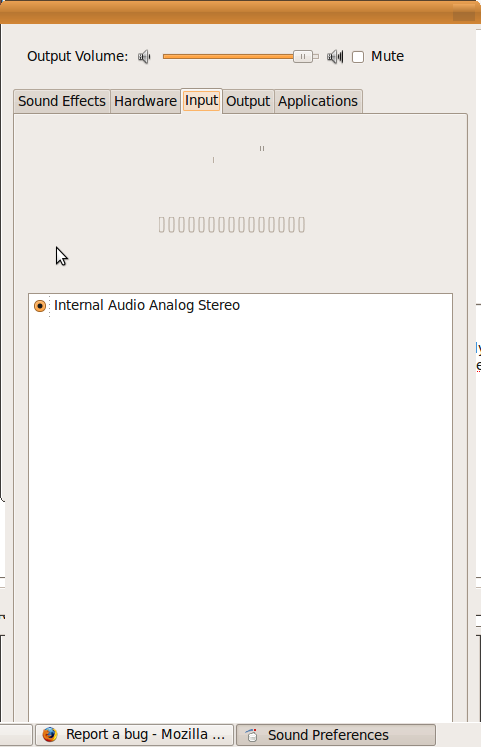 My bug report is about the user interface, not the audio problems. I agree, this is not a duplicate of bug 559442, since this has to do with the UI side of having a lot of applications using sound.